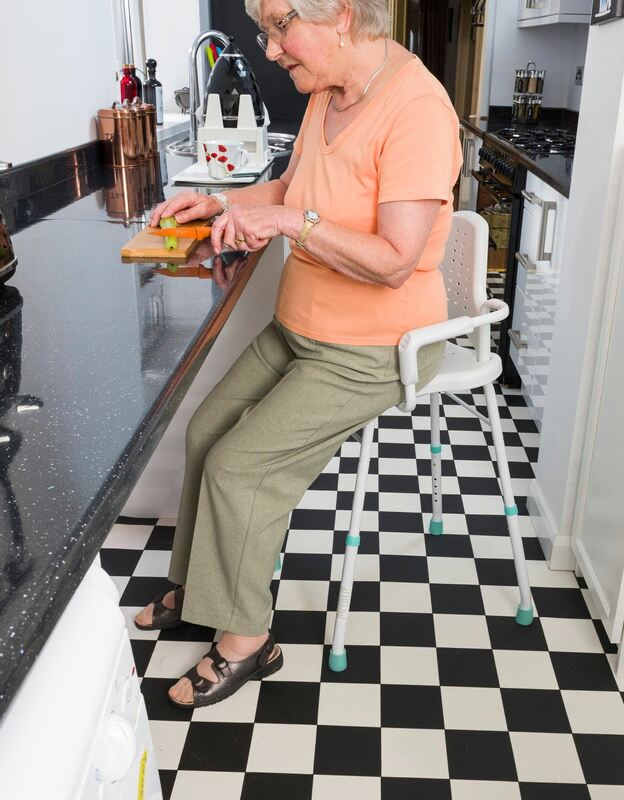 The Prima Perching Chair positions the user in a semi-standing position so they are more comfortable while doing kitchen tasks and at the right height for work surfaces. The sloping seats and arm rests make it easier for the user to rise out of the chair. 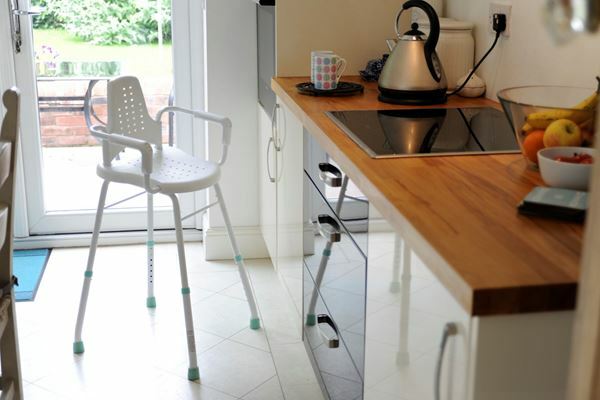 All of the range is height adjustable, so the user can adapt it to perfectly meet their needs. Once adjusted, the legs are secured in place with clips. 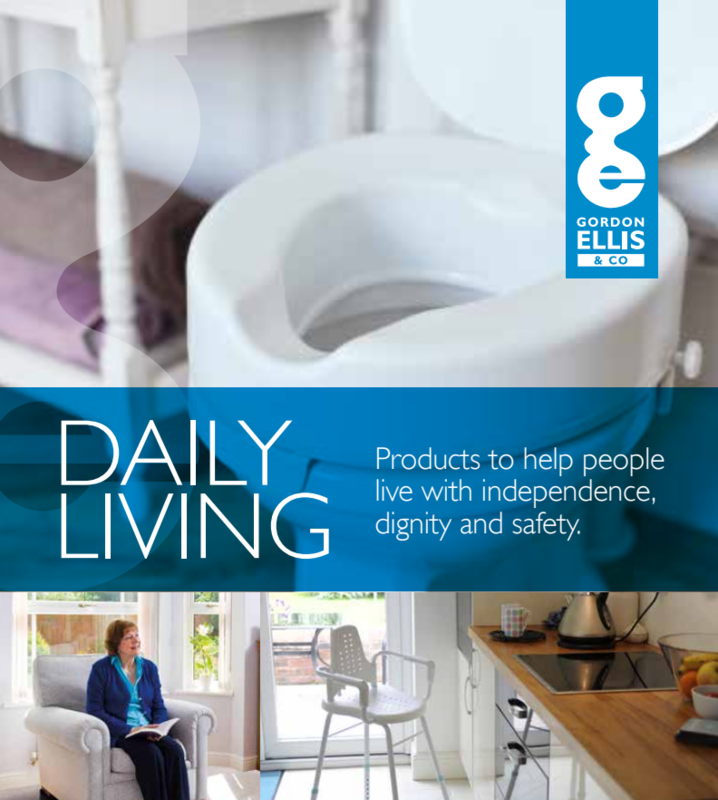 The chair has a smooth contoured back rest, shaped to give a more comfortable support for the user’s back. Each leg has a ferrule at the end which provides grip, even on wet surfaces. Holes in the metal work help to prevent water collecting inside.